Everyone’s skin needs maintenance since at present the current environment doesn’t allow the person be in his or her good health as there is toxicity all around. Air, water, food, almost everything seems contaminated and that makes our body and skin degrade in health and quality. Skin issues like acne, blemishes, dark circles, etc. are not harmful or life threatening but since everyone wants to look good due to the present culture’s never ending competition and demands, such kinds of problems need to be eliminated soon as possible. 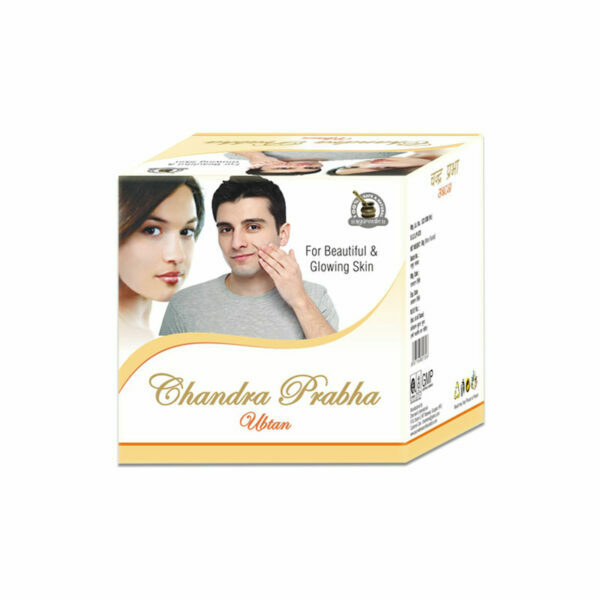 Chandra Prabha Ubtan in such a case has proved to be an ideal herbal face pack for acne and pimples that can successfully reach to the source of the problem and cure it from there. This ayurvedic remedy contains pure herbal ingredients that were used since ages for dealing with the skin disorder and hence the working is well known to most people who are grounded towards the ancient culture. Regular use of Chandra Prabha Ubtan leads to outstanding results within just a few months and that would be permanent if you follow the course strictly as per directed by us. 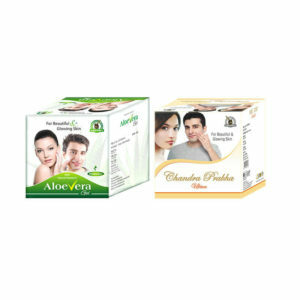 This herbal face pack for acne doesn’t generate any harmful impact and is thus safe for prolonged use, if you wish. Does Chandra Prabha Ubtan cause any side effects? 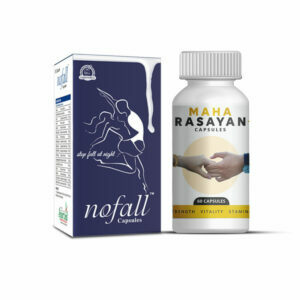 Chandra Prabha Ubtan is absolutely safe and does not cause any side effects ever even if you are planning to use this for long term. How long do I need to use this herbal face pack for pimples? 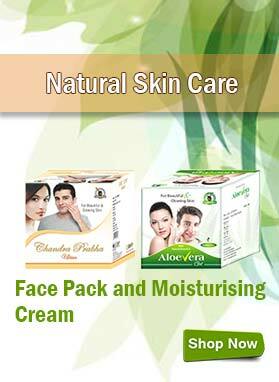 You will need to use this herbal face pack for pimples for almost 3 or 4 months so as to see drastic changes within. You might take less or more than estimated time as well. It all depends on what your current situation is and how your skin responds. How to use this herbal face pack for acne? For acne, pimples, scars, etc. : Take 3 to 5 gm of Chandra Prabha Ubtan and add some milk or curd. Apply on the affected part in a circular motion for 5 minutes and scrub it after 15 minutes. Now wash your face with water. For fairness and wrinkles: Take around 3 to 5 gm of Chandra Prabha herbal face pack, add some rose water and apply onto the affected skin for 5 minutes in a circular motion. Scrub after 15 minutes and wash it with water. What is the preferred diet to remove acne and pimples? Just stay away from junk and oily foods and have fresh vegetables, fruits and foods containing fiber in order to keep the digestion upbeat. Also drink lots of water and fresh citrus juices. How can I buy Chandra Prabha Ubtan in India and from where? Choose the quantity of your package and select the BUY NOW button. Enter all the necessary billing details like full name, postal address, email and contact number which are asked. Select one option from these for the payment purposes – cash on delivery, direct bank transfer (NEFT), demand draft (DD) or cheque. Hit click on PLACE ORDER button. Send us your bank payment details through SMS or email in case of advanced payment modes. After payment confirmation by our bank we dispatch the products. How will my product be received at my house if I order this herbal face pack? I want all the details in terms of packaging and delivery. Within how many days I will receive my product? We always maintain the privacy of our consumers and for that every product is discreetly packed and shipped to the respective destiny. You will find your parcel being wrapped in a plain paper and that you will receive within 3 to 5 working days. I was having dark spots, wrinkles and fine lines due to growing age and unhealthy routine. Nothing can stop this fact that one has to age and look old as the day passes. 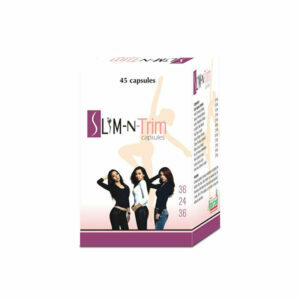 But this product is really hope for us ladies since it provides better looks than before. My facial skin now glows as compared to other fellow companions of my age group. The dark spots are lightened as well. A ton of thanks to all of you involved in the manufacture of Chandra Prabha herbal face pack. In six months I am about to get married. I wanted to try something pure herbal to make my skin radiating and mesmerizing after all I am going to be a bride. Having already heard from my friends about Chandra Prabha Ubtan, I started using it. My friends were so true as after using this face pack for just 6 weeks my skin is glowing like never before. I am going to apply it forever! My younger sister was having skin problems like uneven skin tone and dark circles on her face. So, she started using Chandra Prabha ubtan and now after 2 months of usage of this face pack she can feel that all her skin problems are getting eliminated effectively. Her skin looks radiant now. She has not even experienced a single adverse effect on her skin due to this face pack and so she feels that this herbal ubtan powder is just amazing. I purchased Chandra Prabha ubtan for my mother as she was having wrinkles on her face and so she looked more than her age. She used this herbal face pack consistently for 2 and a half months and now she is able to notice the improvement in her face. The wrinkles have reduced to a great extent and her face looks radiant now. Also, she has not experienced any kind of side effects on her face and so she wants to use this face pack forever. My younger brother was having acne and pimples all over his face so he felt under confident because of his looks. Then he used Chandra Prabha ubtan and now his skin problems have got reduced considerably just within 1 month. He is very happy with the results and wants to continue the usage of this herbal ubtan for a few months more to achieve the desired results. From last 2 months my sister is using Chandra Prabha Ubtan. She had many skin problems and she lost her face-glow, she needed a proper way to cure her skin problems. Then she used Chandra Prabha Ubtan and all her skin problems are gone now. I am 34 and my face start looking dull, wrinkles and pimples were the bad part of it. Then my aunt suggested me to use Chandra Prabha Ubtan. 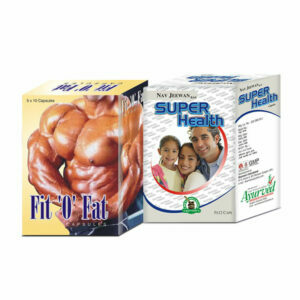 After using it I see remarkable difference and continuing it for superior results. Pimples are main skin problems in teenagers, my sister was also suffering from this problem and tried so many cosmetic pills and creams but not none worked as per expectations. Then I bought Chandra Prabha ubtan for her. Now she is happy with her skin.